Home / Geen categorie / The Blue-Ringed Octopus! Here is the 19th animal that’s added to Scuba, the one Kickstarter backers choose. 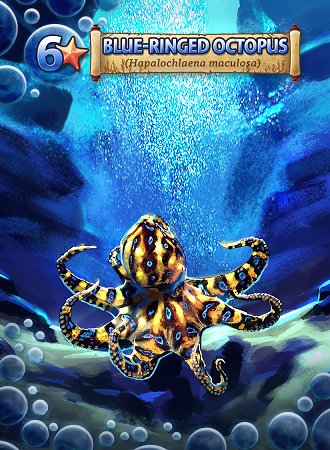 The Blue-Ringed Octopus!